Regular shipments of propellant are needed by a permanent station in Low Earth Orbit to counter drag and maintain its orbital altitude over an extended period. 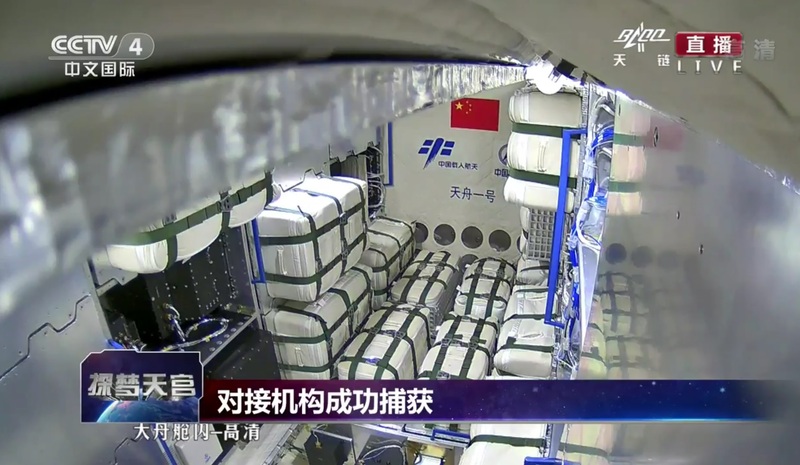 Therefore, China placed focus on learning the physics behind fluid transfers in the microgravity environment to retire technical risks before committing to the deployment of the Chinese Space Station (CSS) that will become a permanently staffed outpost expected to operate through the 2020s. The Tianzhou-1 cargo spacecraft launched on a five-month shakedown mission back on April 20 atop China’s second Long March 7 rocket that will ultimately become the country’s workhorse for heavy cargo hauls to Low Earth Orbit, Geostationary satellite deliveries and, later on, crewed launches. 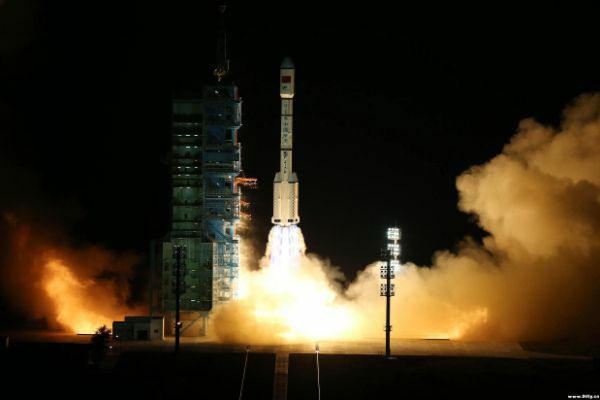 After a smooth ride on Long March 7, Tianzhou-1 completed a two-day ascent toward Tiangong-2 in its 385-Kilometer orbit, culminating in a fully automated docking guided by a radar-and-laser-based navigation system. Measuring over 20 meters from end to end, the Tiangong-Tianzhou complex is China’s largest spacecraft to date, weighing in at around 20 metric tons. 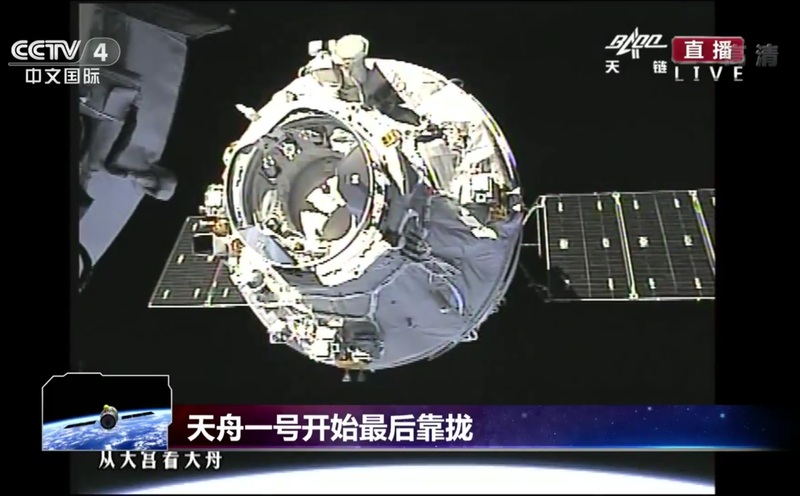 With Tianzhou’s successful docking, the mission checked off its first major objective of demonstrating an orbital cargo delivery. Refueling was the second critical objective of the mission, verifying China could sustain the operation of its future station over an extended period of many years, possibly over a decade. China’s Xinhua news agency reported on Thursday that the mission’s first refueling test was successfully completed at 11:07 UTC after around five days of transfer activities starting soon after the craft’s docking. However, details such as the amount of propellant transferred and whether both fuel and oxidizer were involved in the operation were not revealed. 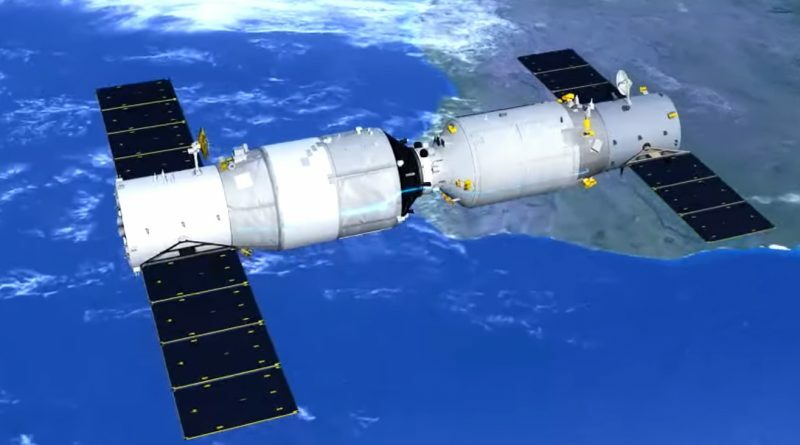 Human spaceflight officials declared the Tianzhou-1 mission a success after the completion of the first transfer, but the spacecraft will go through another two docking maneuvers with Tiangong over the coming months and attempt two more propellant transfers. China’s ‘Heavenly Vessel’ measures over ten meters in length and has a diameter of 3.35 meters with a maximum launch mass around 13.5 metric tons and a cargo capacity of 6,500 Kilograms. Located in its aft Service Module are eight 230-liter propellant tanks holding roughly two metric tons to Monomethylhydrazine fuel and Nitrogen Tetroxide Oxidizer. Over half that propellant mass is available for transfer to the Space Station. Four lines carrying fuel, oxidizer and helium pressurization gas run from the propellant storage to the forward end of the spacecraft where four fluid interfaces are located as part of China’s second version of the APAS docking system. 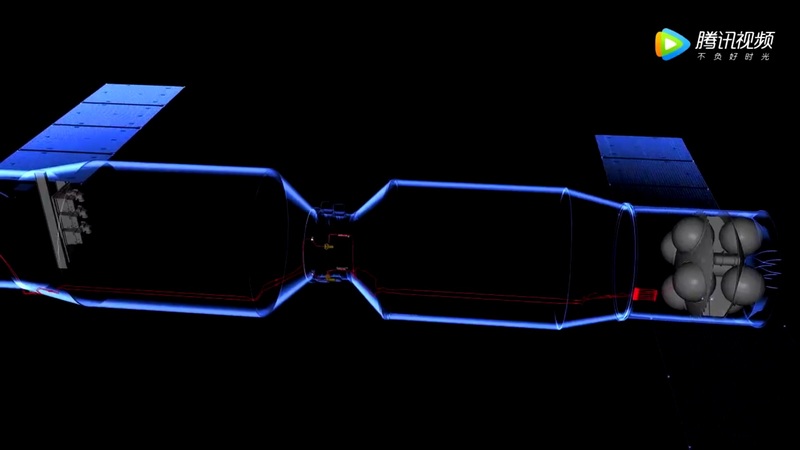 Upon formation of the hard-mate between Tianzhou and its target vehicle, the interfaces form a pressure-tight seal that allows propellants to be forced into the partially empty tanks of the space station via a pressure differential. At the end of the refueling operation, the lines are purged and the interfaces separate as the visiting cargo craft undocks. 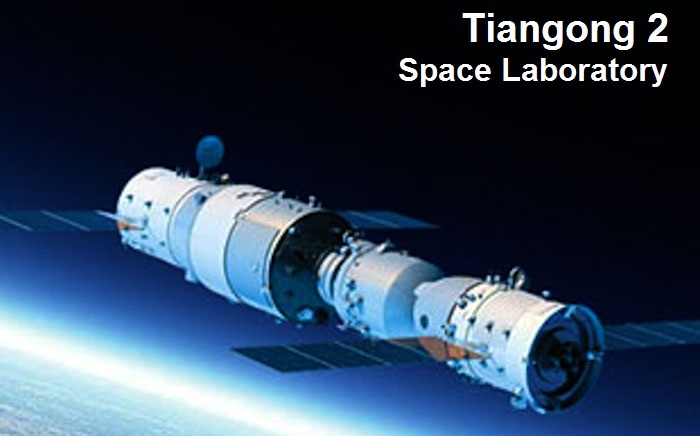 Tiangong-2 can hold around 1,000 Kilograms of propellant, placing an upper bar on the propellant mass that can be transferred during the Tianzhou-1 mission. 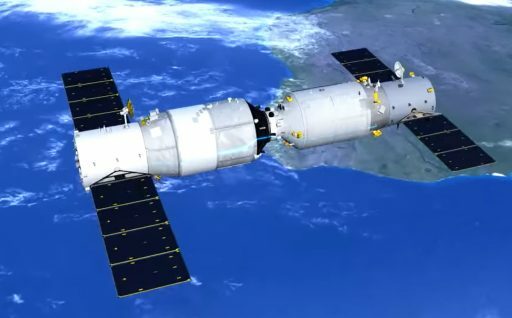 Fully replenishing Tiangong’s tanks will allow the space lab to continue orbiting Earth for years to come to facilitate a study of the longevity of its various subsystems and components. Xinhua noted the successful transfer of propellants makes China the third country to achieve the feat, after Russia and the United States. Europe’s Automated Transfer Vehicle refueled the International Space Station, but used a Russian-built transfer system. 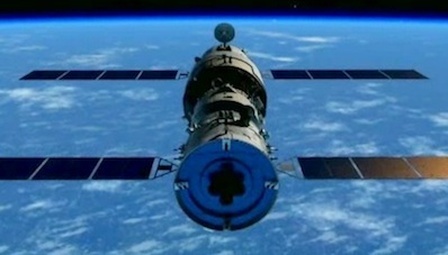 Another refueling test between Tianzhou-1 and Tiangong is expected in June, Xinhua said. 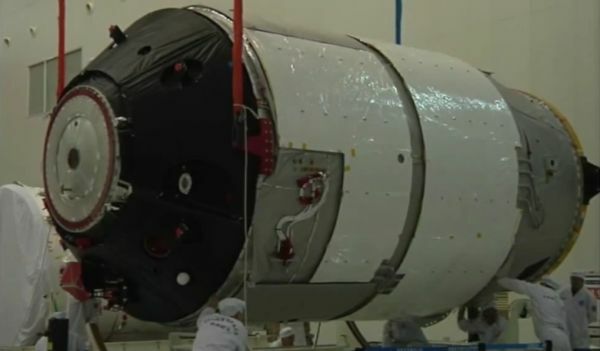 This will require TZ-1 to undock in the coming weeks for a period of free-flying before linking up with Tiangong-2 once again for a repetition of the test to verify repeat-use of the transfer system. Officials stated Tianzhou would make three separate docking maneuvers over the course of its mission, spending around three months docked to Tiangong and two months in free flight to validate the nominal half-year mission duration for operational cargo flights. Packed inside the Pressurized Cargo Module of Tianzhou-1 are mass simulators for cargo bags, water canisters and gas bottles to mimic the mass properties of a fully operational cargo mission to the CSS. 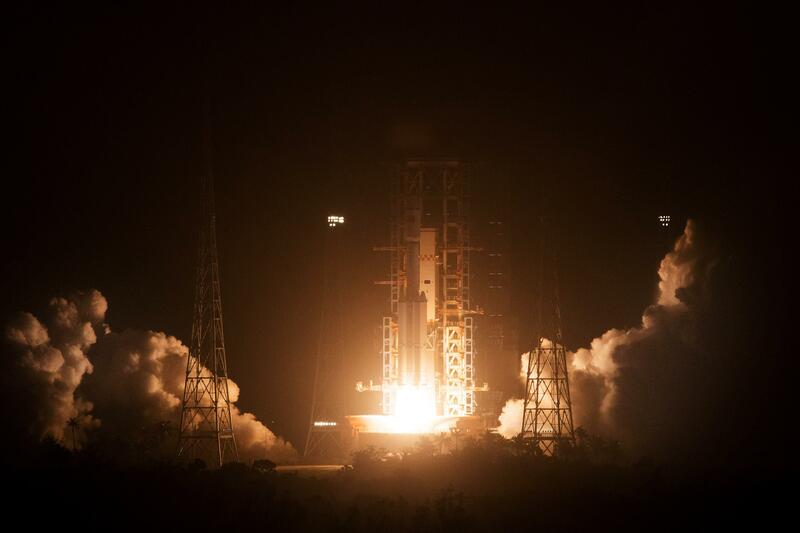 At a liftoff mass of 12,910 Kilograms, Tianzhou was the heaviest spacecraft ever launched by the Chinese, surpassing Tiangong-2 that was restricted by the upmass capacity of the less-powerful Long March 2F launch vehicle.